Every person’s father is concerned about his ward’s health. 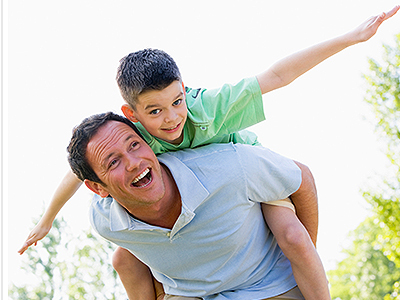 He advises his son or daughter to take good care of the health and maintain a basic fitness level. Some discipline is required in order to have a sound health. A father always tries to cooperate with the child to help him or her develop a healthy body and a healthy mind. My dad had given me several health tips till date. I have tried my utmost to follow those with grit. In fact, the older I get, the more his words make sense to me. I would like to share few of 5 health tips my dad had given to me to keep my body fit and fine. Firstly, he had told me not to have too much fast food. Eating fast food is a menace to the health. The materials used to prepare the fast food items are improperly processes, making those items unhealthy. The nutritional value of the fast food items is low. There are really no major health benefits from fast food. If I have too much fast food, there are chances of getting obese. There are also other types of health-related complications of eating fast food. I have maintained to eat these food items as little as possible. Secondly, my dad had advised me to drink lots of water on a daily basis. Drinking three to four liters of water daily is a must. This, apart from keeping the body hydrated, detoxifies the body through sweating. Having a sufficient amount of plain water is very important in order to be fit. Several life processes run smoothly if one drinks good amount of water on a regular basis. Having fresh water also rejuvenates the body of its spirits. I have always maintained to drink at least three liters of water each day to remain healthy. When I was a teenager my father had also instructed me not to indulge myself in smoking. Smoking is extremely detrimental to one’s health and even be fatal. There are thousands of deaths each year due to the activity of smoking. Smoking tobacco can, in many cases, cause cancer. Even when I left past my teenage days, I have tried to smoke as less as possible. Smoking is an addiction and if it controls your habit, then day by day, your health will be affected. Quitting smoking is the best option for any smoker to regain health. Another health tip that my dad gave me was to do a bit of exercises on a regular basis. Daily exercises develop a good fitness level and that is maintained. The body parts become more flexible and a person feels energetic. His reflexes improve and the overall quality of his health becomes better. The fifth tip that my dad gave was to have healthy food. Eating vegetables and fruits help a great deal to keep one’s self healthy. I have always tried to follow these tips so that no complication arises related to my health. I would also advise others the same.